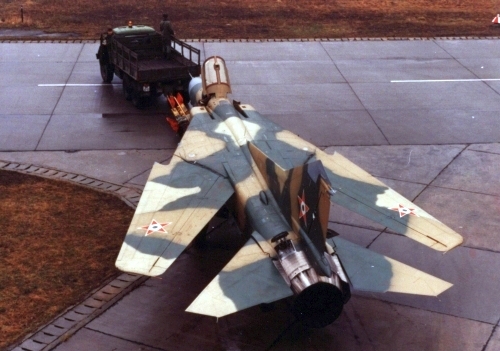 Halfway through the lifespan of the aircraft industrial Overhaul needed to be carried out. 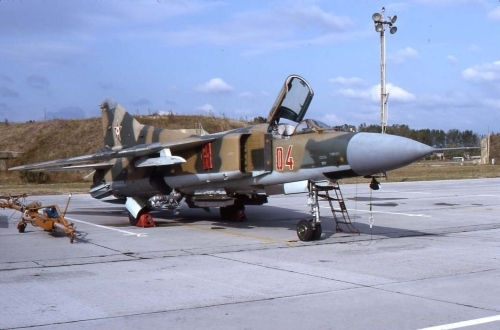 At the end of the eighties, the Hungarian Homeland Air Defense Force’s MiG-23 Flogger fighter aircraft have reached half their lifespan. 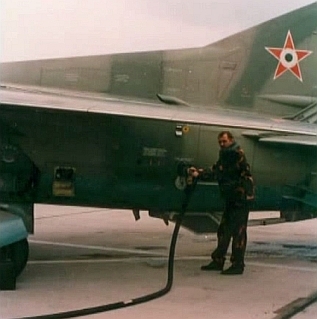 The industrial repair was carried out in Bulgaria between 1988 and 1990. 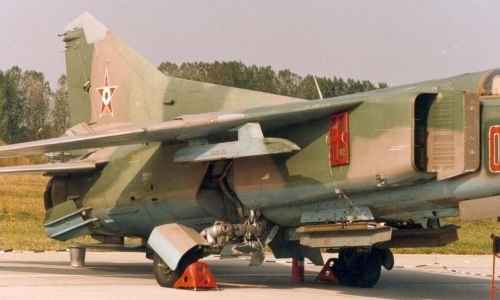 The nine MiG-23MF Flogger-B and the two MiG-23UB Flogger-C arrived after an average of 800-1000 flying hours to Bulgaria. 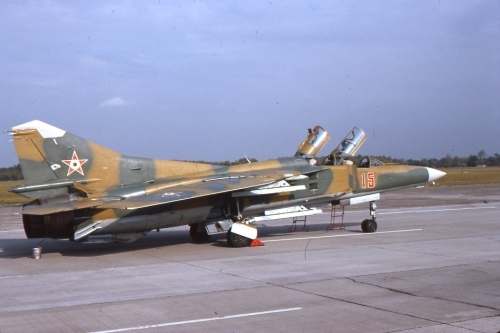 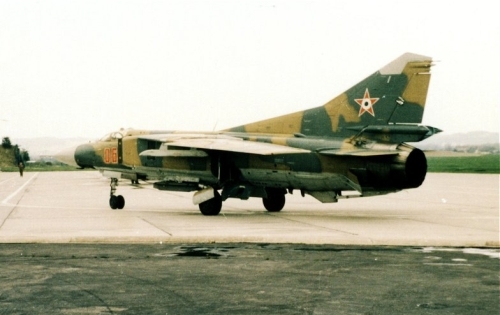 The MiG-23 fleet was extended to 750 hours and ten years. 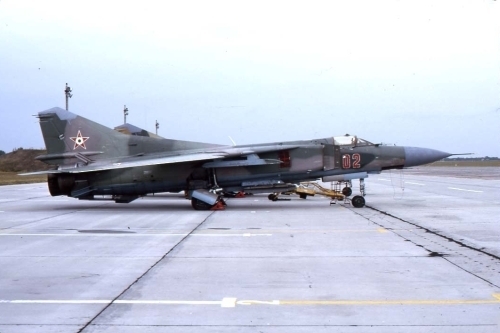 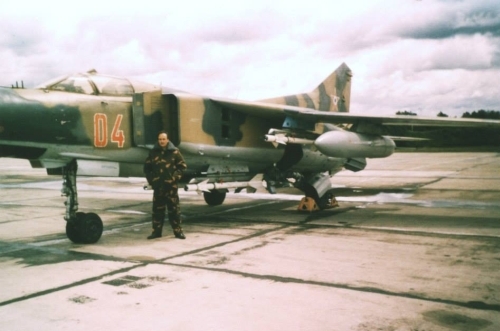 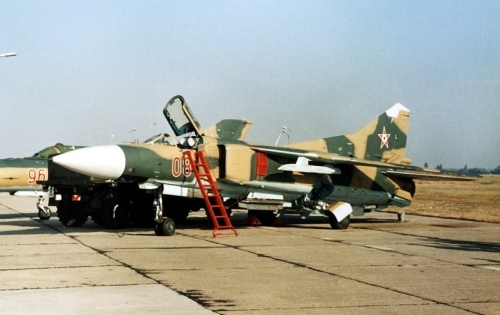 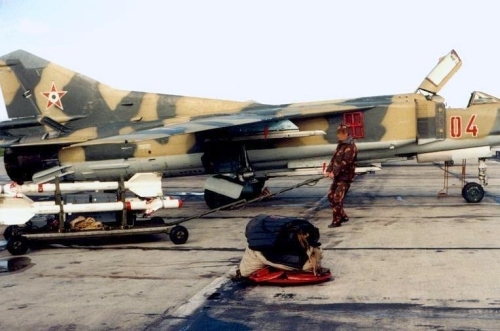 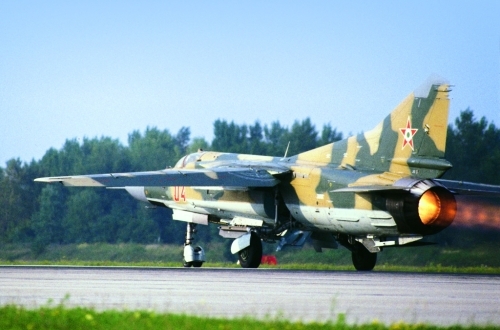 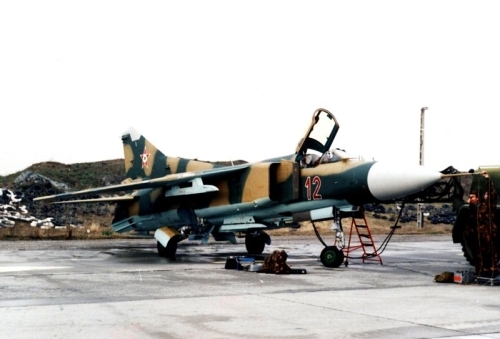 During the repair, the MiG-23s gray paint were replaced to camouflage. 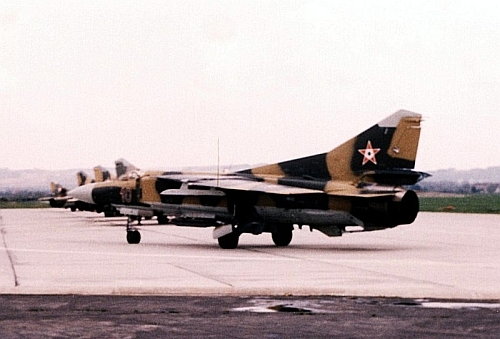 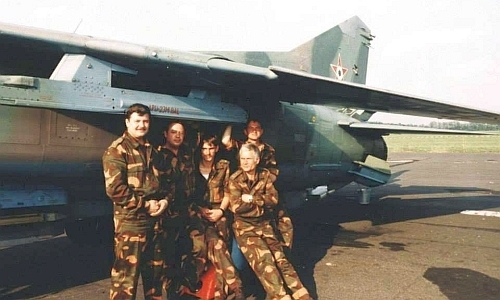 The Hungarian MiG-23 squadron took part in a Live-fire exercise in 1990 in Poland. 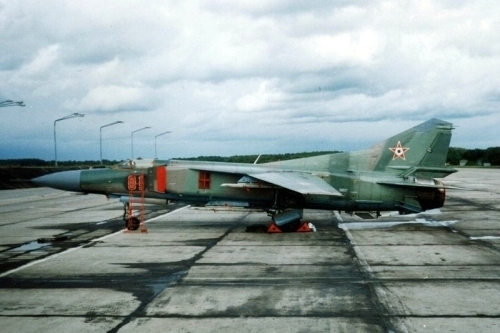 Six MiG-23 settled in Slupsk Airport. 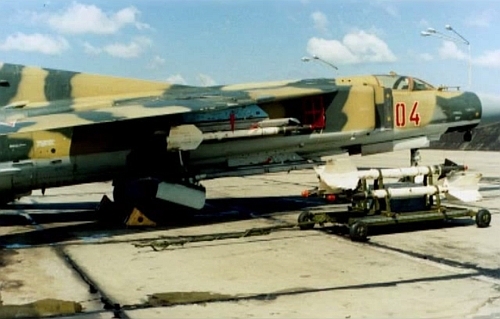 The camouflage fighters launched old R-3S AA-2A and R-13M1 AA-2C Atoll air-to-air missiles.